Having spent a memorable date with the Malaysian fans, the star of hit drama “That Winter, The Wind Blows” made a trip to this sunny island to meet his Singapore fans who have been anxiously waiting for his first ever visit. 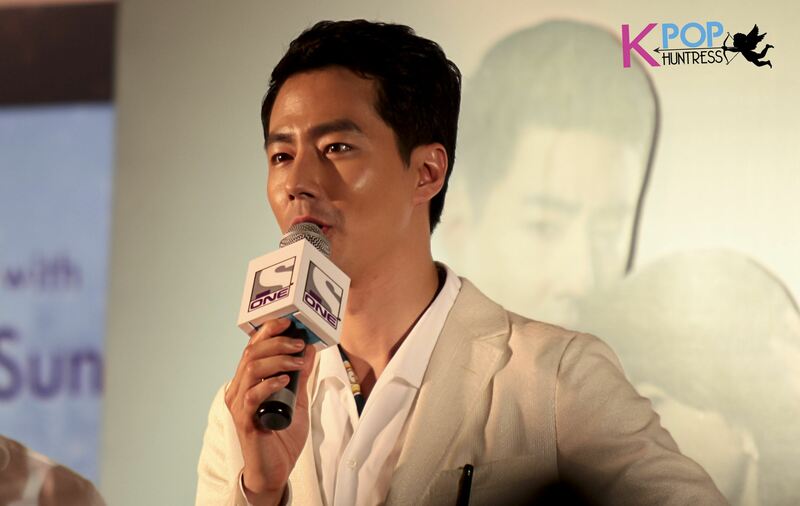 However, before the exciting evening date at Suntec City’s Tropics Atrium in the evening, the various media had the honor of first meeting Zo In Sung for a cozy and intimate press conference session which was held at The Pan Pacific Singapore on the afternoon of the 22nd of May. Dressed casually in a grey shirt and jeans to bring out his tall stature, he greeted the media with a bright smile and posed handsomely for the cameras at the start of the session. We caught glimpses of his playful side during the photo call and this easygoing nature of his persisted throughout the entire interview session making it one of the most comfortable and enjoyable sessions we’ve had so far. Complimenting the media for being very pretty that day and thus making him nervous brought smiles to the faces of the many female reporters present and it was with that that the interview session for the day began. Receiving questions related to “That Winter, The Wind Blows”, he says that he would rate himself 7.5 out of 10 for his acting in the drama as he felt that he could have done a better job after looking back on it. He also reveals that one of the most difficult scenes to shoot was the drama’s final kiss scene with the lead actress as he had to do it while crying and he found it difficult to control his emotions. He elaborates on to say that crying scenes are really difficult as it’s tiring to cry but when he focuses on the emotion, it makes it easier. Having a lead actress, Song Hye Gyo, who is able to bring out her emotions well had also helped him during these difficult crying scenes and he praises her as one of the best Korean actresses in that aspect. When asked if he expected such a hot response in Korea and worldwide from the famous “Cotton Candy Kiss” between him and Song Hye Gyo in one of the episodes of the drama, he replied honestly with a no and says that the scene was created mostly by the director. He reveals that it was rather embarrassing to shoot the scene and that he and Song Hye Gyo were mostly wondering what they were supposed to be doing when they shot the scene. While there are striking similarities to his own personality, playing the lead character for this drama was really tough he says because Oh Soo grew up as an orphan who was unable to receive any love from the moment he entered the world unlike most other people who receive love from their parent s and the people around them. He often finds it hard to get into character but he is thankful because he was able to learn what love was through this drama. 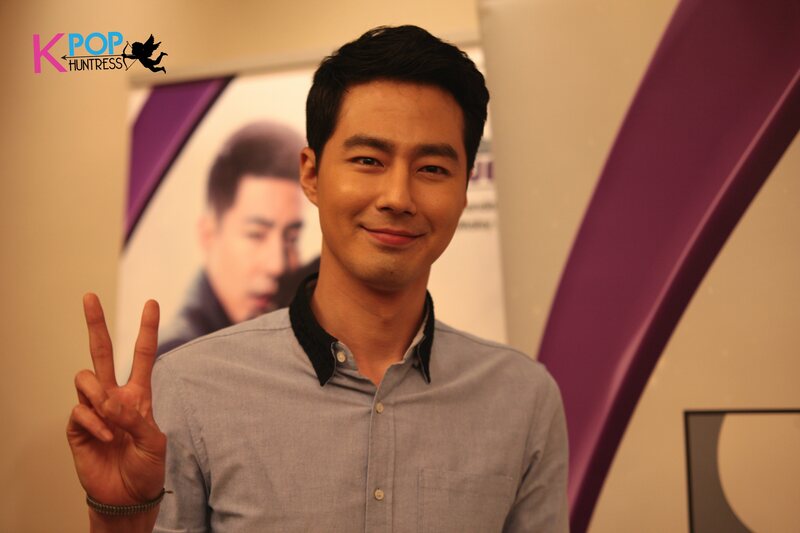 Describing himself in three words, he candidly replied “Jo In Sung”, causing laughter to ring across the room. When asked when is he the happiest, he says there are two situation when he is happiest but stopped midway to add another; when playing video games, when meeting his close friends and sharing a bottle soju and when he is acting on set. While he enjoys music and singing, he says that singing is something that he thinks he should not do as his fans might leave him if he decides to head down that path. He also reveals that he likes cooking and is good at it, especially at making pasta, and he likes women who look good in jeans, to the delight of the female reporters present. Despite his calm yet witty nature, he is serious in his acting career. Having mentioned that the well-respected actor, Jung Woo Sung had been his role model in middle school, also adds that he would have liked to have acted in the 1995 drama “Hourglass” as it was a great drama which had introduced much of Korean history into the storyline. He also says that that it would be great to be able to work with his good friend, actor Gong Yu should there be any opportunity in the. Nevertheless, he adds that he would really want to try doing a sitcom should there be any good opportunities in the future as it seems like it would be really interesting and fun for both himself and the viewers. As advice for future upcoming actors and actresses, he says that although it may be difficult, they can do it if they do their best and he will always support them in their work. After the short yet interesting interview session, Zo In Sung left us for a bit before appearing again at 8pm at Suntec City’s Tropics Atrium. Charmingly dressed in a white suit, he greeted the cheering crowd of 4000 fans who had been eagerly waiting for his arrival. Making eye contact with as many fans as he possibly could, he flashed a perfect smile and posed handsomely for the numerous cameras that clicked endlessly away. It was evident that he was happy to finally be able to meet his Singaporean fans for a memorable date that evening. Responding to the question of what he thought of Singapore so far, by DJ Pei Fen from radio Y.E.S 93.3, the MC of the day, he replied that it was his first time here and his first impression of Singapore was that it was very clean and emotional. He also added that he was very happy to see the beautiful smiles of the many female fans present from where he was standing causing cheers to reverberate throughout the atrium. He answered questions about his drama and work life seriously and yet gave witty responses to other light-hearted questions. He says he enjoys being a celebrity, as an actor, because it feels great to be able to receive so much love from everyone for his work. He mused for awhile when asked what he would have done if he had not become an actor, before replying that since he had done the sport for a bit he would have probably became a Taekwondo director of a school. On what animal he would choose to be, he easily replies that he wants to be a puppy which receives a lot of love from everyone, leaving the crowd to coo endearingly over him. He also mentions that he would like to be a mix of vanilla and chocolate ice cream when probed on that subject. The fan meet continued in high spirits with a mini competition of couples acting out the “Cotton Candy Scene” in front of Zo In Sung after which he selected a winning team. The lucky and the rest of the contestants had a polaroid photo taken with the star of the day on stage before leaving the stage for the other contest winners and subscribers to have their chance for a one-on-one photo taking session with him. 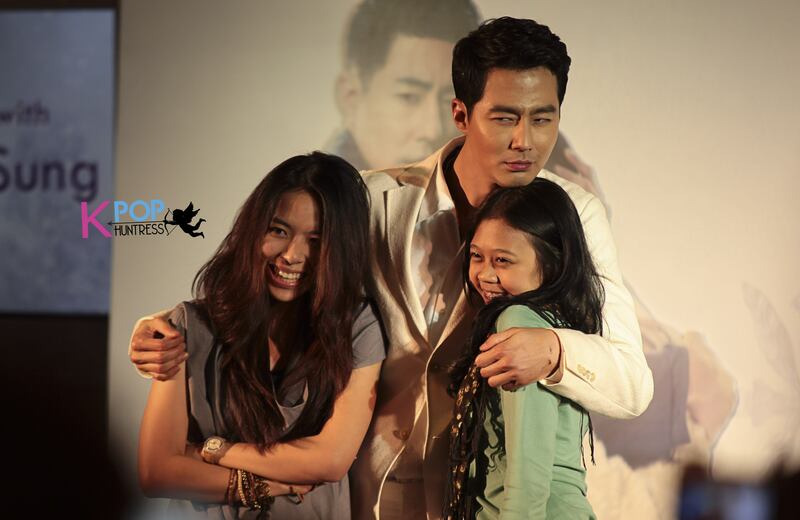 As expected, Zo In Sung very naturally threw out fan-service in the form of cheeky expressions and gestures like hearts and hugs to the delight of the winners. Though the fans present were reluctant to let him leave, the fan-meet ended on a high note as he thanked all the fans for coming down to see him and personally thanking his fans from the Taiwan and Korean fanclubs. He adds that although the trip here was a short one, he is very happy to have been able to make such unforgettable memories. He hopes that he would be able to visit Singapore more often in future so that rather than a fan-celebrity relationship, they could be friends instead, just like those of his fans in Korea. We would like to thank ONE for the opportunity to cover the event. 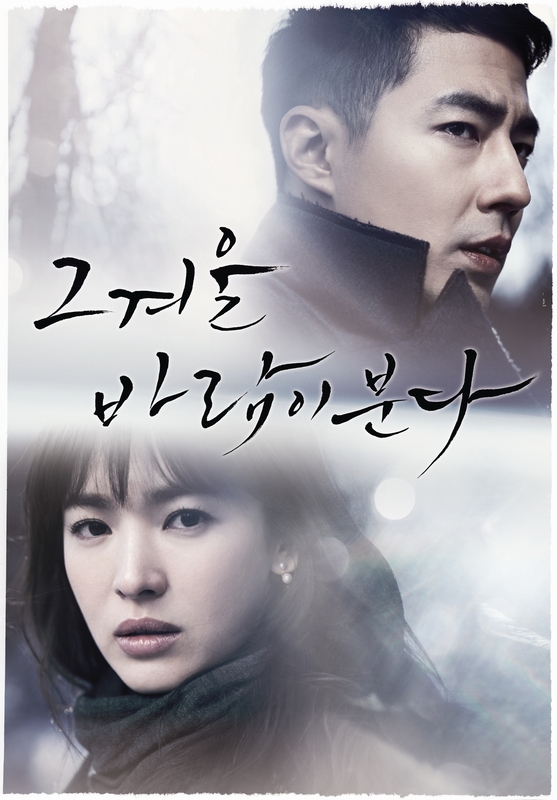 Watch Jo In Sung’s drama, “That Winter, The Wind Blows” on ONE (SingTel mio TV Ch 513, 604 / StarHub TV Ch 823, 876, 124). Due to popular demand it will be re-running from 1 June 2013, on Saturdays and Sundays at 3:15pm.